Vineyard and winery tourism is mainly a summertime undertaking. 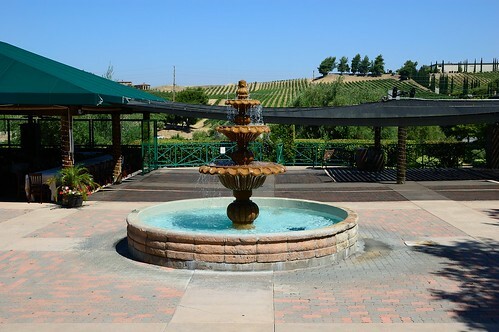 However, one of Southern California’s most well-known wine towns offers plenty of attractiveness year-round. Temecula, a Riverside County town about one hour north/east of San Diego and one hour south of San Bernardino, is an exciting place to spend time during the winter months. It boasts a season-long series of special event known as Winterfest. 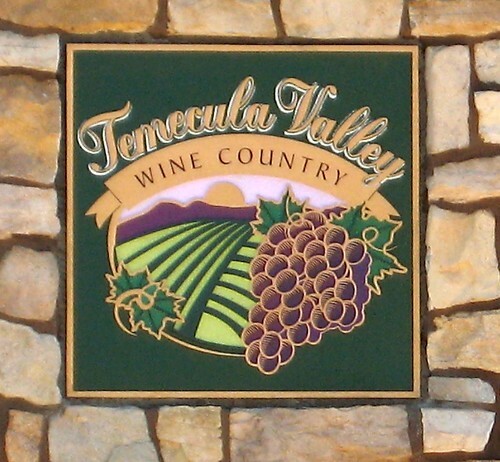 The action happens both in the town itself and in the surrounding Temecula Valley, which is populated by some of Southern California’s best wineries. Temecula is probably best known for its Wine and Balloon festival, which draws hot air ballooners from around the country. 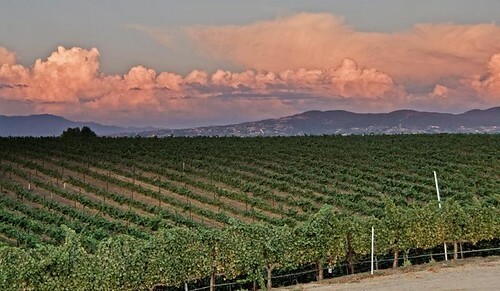 But with the areas 30 plus wineries and wine-bars that operate year round, there is really no reason to confine your Temecula experiences to the summer. Some of the towns most scenic real estate is occupied by rental estates where you can host your own weekend getaway in one of inland California’s most charming towns. The magic starts during the holidays. Lights decorate the Old Town, which features shops, restaurants, and wine bars. An ice skating rink is set up in December and is open through the week of New Year's. Old Town's streets are decorated with lights, and the cultural calendar features events like Charles Dickens' Christmas Carol, the Nutcracker Ballet and the Mannheim Steamroller Christmas. All winter, you can find events at the historic Pechanga Theater in the center of town. Most tourist towns experience a lull in January and February. Temecula takes part in January's California Restaurant Month, with restaurants all around the Valley offering fixed-price, multi-course meals for unbelievably reasonable prices. For most eateries, this is a monthlong festival, so you can enjoy the flavors of Temecula (accompanied by the best local wines, of course) no matter when you visit. And you can work off your meals with a trip above the valley in a hot air balloon. The balloon-related events take place in the summer, but these fliers offer peaceful and scenic rides all year round. Balloon rides are perfectly romantic - a wonderful option for a Valentine's Day adventure. You don't even have to celebrate your love on February 14th. Temecula celebrates 28 Days of Valentine's Romance for the entire month of February. Romance is easy to find in the town's wine bars, atmospheric Old Town streets, and cozy hotel rooms. You can find even more privacy at a rental estate in Temecula. If you are seeking an exclusive place for an intimate event, Temecula's Castle Rock Manor is the best option for you. Situated on five acres, this rental home is for people who put a premium on privacy. You can host special events both indoors and outdoors, while the onsite guesthouse can accommodate you and your most-special guests for a night or an entire weekend. A state of the art entertainment system, a 12-person marble spa, mosaic floors, marble columns and built-in waterfall in the garden makes this a truly feature-rich estate for a private getaway or an intimate wine-themed event. Perhaps you're inspired by the full January and February calendar in Temecula and you would like to add to add your own event to the mix. The Benton Ranch Estate has the same naturally attractive surroundings and the opulent appeal as Castle Rock, but it can accommodate much larger groups on its 30-acre grounds and its 700 person events space. There is even an area for smaller dinner parties. This venue truly captures the stylishly rustic appeal that makes Temecula so attractive. Its gazebos, stables, and extensive grounds provide the perfect atmosphere for a dinner party, corporate cocktail event, or other special celebration. There are other options for January and February. You can host your special event anywhere in the country, and you can find the perfect venue by searching our main estate web site. Have you ever spent time in Temecula during the winter months? Let us know about your experiences in the comments section below.